Everyone is welcome to these community social events. The evening begins with easy dances for newcomers, and all dances are taught. You don't need experience or a partner; bring yourself, a snack to share, and a smile. Join us by 6:55 to get signed in and ready for our pre-dance Workshop at 7:00 to learn the basics. Dance starts at 7:30 and ends at 10:30.
at Grant Beach Park, 835 W Calhoun, Springfield, MO! 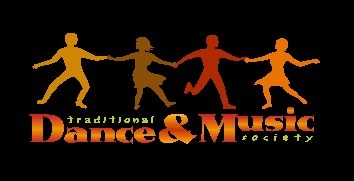 Join the Traditional Dance and Music Society of the Ozarks on our Facebook page. Join us there to get Facebook invites to all TDMSO hosted events. Permission is required before any information on this site is quoted or utilized in any manner for publication or commercial purposes.